The BBC's global iPlayer iPad app will launch on a 'pure paid subscription model' allowing the rest of the world to pay to watch the likes of Top Gear and Dr Who on their tablets. 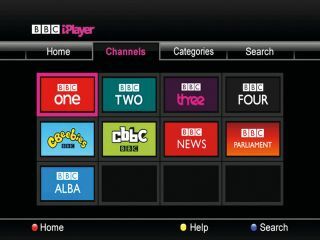 According to Broadcast, BBC.com managing director Luke Bradley-Jones told the Digital TV Summit,that the eagerly awaited app would evolve into a hybrid model, but at launch would be a paid subscription model. "There's a general acknowledgement in the world of VOD that there needs to be a hybrid business model – a combination of subscriptions, download to own and pay per view," said Bradley-Jones. "However I can announce here that we're going to be adopting a pure paid subscription model for the global iPlayer for launch – in part to get audiences used to using the service, but more importantly so we can generate additional value from the service in terms of the user data that it gives us. "We will also offer advertisers the chance to partner with us on the 'free' areas of the service." Although the BBC does already offer its shows through the likes of iPlayer, an own-branded product available globally could well be a major money-spinner for Auntie. The ultimate aim for the BBC would be to become a truly global player in on-demand broadcast.